Read my interview with LifeofWriters.com …. 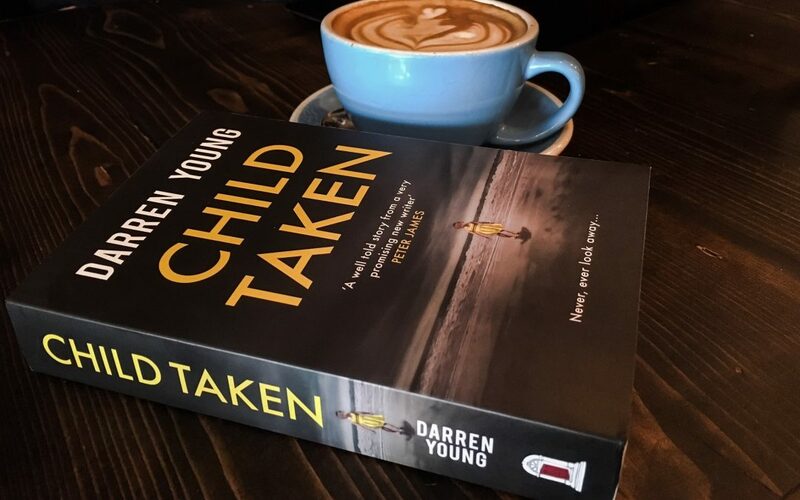 LifeOfWriters.com is utterly proud to let you all read the inspiring author interview with Darren Young. He released his debut novel Child Taken on 18 May 2017 by Red Door publishing house. He has always enjoyed writing and in 2014 he found a sympathetic coffee shop and started working on Child taken. Keep reading below to get his astonishing answers about his writing life. Congratulation with your debut novel CHILD TAKEN. What were the best part and the hardest part of your writing journey from beginning to publication? Wow, that’s a tough start. I’d qualify it by saying I found there were an awful lot more lows than highs in the journey which I wasn’t surprised by because I don’t think it should be easy, but I did find it was like constantly climbing a hill only to slip back down again. The best parts, if I choose two, were the moment when Red Door said they wanted to publish the book and the launch event in May. I set out with a firm promise to myself that someone had to want to publish the book on its merits. I felt that was my vindication that I’d got it right, if you like and I wanted a publisher to say ‘yes that’s a book for us’ so when they said that it was a superb feeling. It was extra nice because I’d identified them early on as people I’d like to work with and as someone completely new to this, I felt I needed someone to hold my hand through it and they absolutely did that. The launch night, for obvious reasons, was also great because I’d kept writing a secret for so long that it was lovely to be able to share the achievement with so many friends and family. I was terrified though as standing in the events room at Waterstones in Nottingham on 18 May it looked very big (100+ seats) before anyone arrived and I wondered if it would get half full so when there was a sudden rush just before seven and it filled right up so that late arrivals had to stand at the back, that was such a relief. The hardest part is trying to get an agent. I knew it would be but it was just so frustrating and I felt that there was so little appetite for taking on new authors and after a while it was the same old response and I wondered if anyone was actually reading the book. I got one meeting, but it was cancelled a couple of minutes before it was due to start and the amount of waiting was almost unbearable and it was as if the industry was putting up any obstacles it could. I know it wasn’t; that was just how it felt being on the outside and in the end, I just decided to plough on and not let it stop me. But I had a few agents said they really liked it but it was too similar to other books out there and yet, the reviewers and readers have al said how different it is to typical books in the genre so you do wonder. I’ve also had reviewers say things like it’s the best thriller/debut they’ve read and just this morning a reviewer said it was their favorite book of the year and possibly the model of how to write a perfect book and I have thought ‘how did an agent not see this?’ but who knows? The reviews and feedback I’ve got so far definitely suggest there was not only a market but that it was different, which was something I always intended it to be. I suppose it just goes to show how hard it is to break into too.